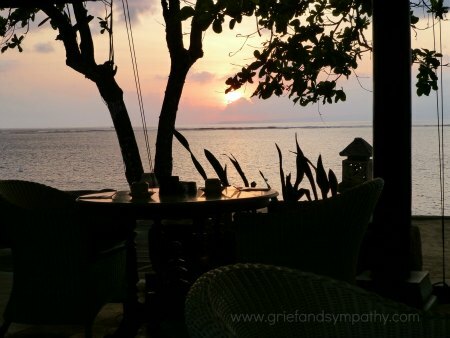 Coping with grief anxiety is one of the things most people have to deal with when suffering a loss. Grief is on the top of the list of life's stresses. Loss of a loved one is the most stressful event we can experience in our lives, so it's not surprising that we often suffer anxiety symptoms during the grieving process. Stress can make us feel unwell, stop us sleeping and put a lot of strain on our bodies. These tips for relaxation may help you to cope during this most challenging of times in your life. Think of some activities which make YOU feel relaxed. Not everyone will find the same things relaxing. Then try and make sure you do one or two of them at least a few times a week. Here are 10 ideas for things which we have found are relaxing and which might help. And there are 10 more below too! Paint something to honour your loved one. 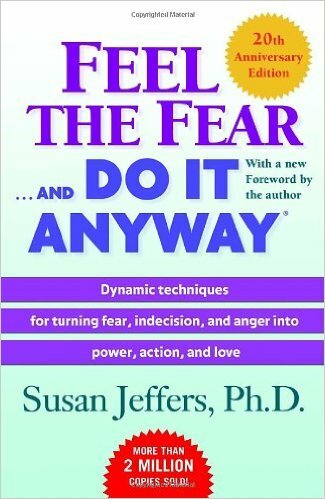 In the book 'Feel the Fear and Do It Anyway', Susan Jeffers describes how, if we really face our fears and feel them they become less frightening and much easier to overcome. The same is true of grief and anxiety. If we bury our emotions, or deny them, they are only likely to cause problems later on. (See our page on Denial of Grief). They will resurface or be expressed in other ways, such as illness, anger or violence. In these days of busy lives and stress, TVs, computers and constant activity, it's so easy to block out our emotions, ignore them, refuse to feel them. Many might shut them out with alcohol or drugs. But if we make time to feel our feelings, express them, work through them, they will become less intense and much more manageable. Then we can move on and find happiness and love again. Exercise. As well as relaxing you, exercise produces endorphins - the feel good chemical in the body which will help you feel better. Choose something which you love, like walking or dancing. Sport. Not only will playing tennis or golf, for example, give you exercise, it will get you out in the fresh air and get you socialising too. All healthy and relaxing activities. Reading. Getting engrossed in a good book can give your mind a rest from the day to day stresses. Jigsaws. Said to be very good for the brain, doing a jigsaw is also very calming. Socialise. Visiting friends and family is very important. Making an effort to be cheerful around other people can actually help you to feel better too. Spa. Treat yourself to a spa bath if you can find one at a leisure centre or spa. Massage. Massage is really good for the health and for deep relaxation. See if you can treat yourself once or twice a month. It will also help you sleep. Hypnotherapy Downloads - these can be really effective for calming you down. See our page on how self-hypnosis can help grief here. Meditation. Read more about Meditation for Grief Here. Yoga. Read more about yoga for grief lower down on this page. I have been amazed a couple of times when I have done yoga or meditation how feelings that I thought I had dealt with have bubbled to the surface and I have found myself sobbing. But it was a very healing experience and yoga teachers report that it is quite common for emotions to come to the surface during practice. 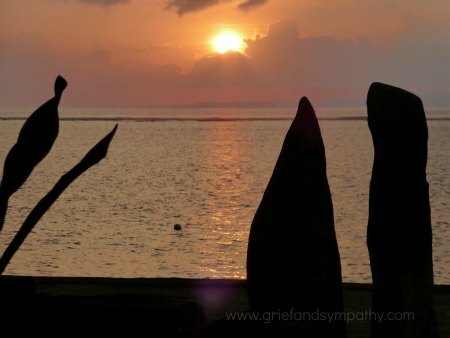 You can read how our dear yoga teacher found yoga through her experience of the grief of a miscarriage here. So how can we get in touch with our emotions? Giving ourselves time to relax is a very good way to start and will help to prevent anxiety attacks in the future. There are many different ways of relaxing. Some will be able to relax just by doing something they love. Maybe going for a long walk, or getting absorbed in a book or hobby. Something like a jigsaw or a crossword might suit some people. Others will need to do specific relaxation techniques in order to switch off and relax.